Sibley Music Library of the Eastman School of Music has received a National Endowment for the Humanities Preservation and Access Award of $273,820 in support of the Library's efforts to digitize music scores in the public domain (i.e., no longer protected by copyright). The principal goal of the project is to provide free online access to approximately 10,000-12,000 public domain scores, from the Library's general collections, held by not more than two other libraries in the world. Over the course of the two-year project (2009-2011), Sibley Music Library will digitize these materials and make them freely available from the University of Rochester's Digital Repository "UR Research"
(http://urresearch.rochester.edu). The Library has been engaged in digitizing public domain scores for the past four years-on a demand basis by Eastman School of Music faculty and students, as well as professional and amateur musicians around the world. To date, Sibley Music Library has digitized over 4,000 items, which have accounted for more than two million downloads from UR Research. The NEH award supports the hiring of two additional staff members, thus permitting the Library to accelerate the pace of its digitization program and thereby provide access to a significant portion of its pre-1923 scores holdings. Co-administrators of the project are Sibley Music Library staff members Alice Carli, Conservator, and Jim Farrington, Head of Public Services. Sibley Music Library is the largest academic music library in North America, with total holdings of some 750,000 items. 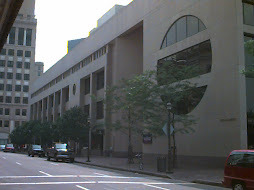 Founded in 1904 by Hiram Watson Sibley (1845-1932) as a public music library for the Rochester, NY community, the library became part of the Eastman School of Music at the School's founding in 1921 as a constituent part of the University of Rochester. During the course of its first century the Library amassed large and noteworthy holdings of rare books as well as strong collections of circulating music scores, recordings, books, and journals. Sibley Music Library's public domain scores digitization program focuses on items drawn from its circulating collection of scores. Given the date of the Library's founding, Sibley is particularly rich in late nineteenth- and early twentieth-century (i.e., public domain) scores, including solo, chamber, orchestral, vocal, and operatic music.